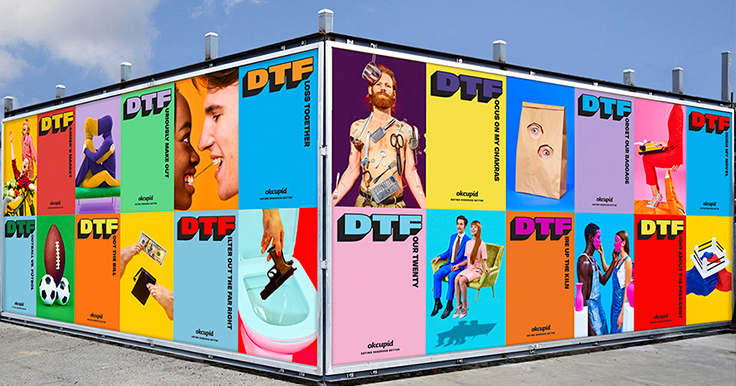 The creators at Toilet Paper Magazine teamed up with OKCupid to create these cheeky and somehow beautiful ads that attempt to redefine the term “DTF”. Usually heavy with negative connotation, OKCupids goals is to take the definition back. Hobley says she is most excited about the campaign because “every image feels like a work of art” and many of them make a significant statement. Be sure to check out the entire ad campaign in the gallery above.